Nose jobs are usually related with celebrities or people belong to show businesses. And on basis of that it’s a disbelief amongst out cultures that ‘nose jobs’ or nose plastic surgery is only adopted for cosmetic purposes. In every culture and society people think that individuals who seek nose surgery only get so because they are not very confident about their looks, especially their nose. 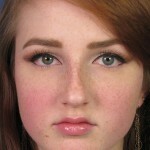 They want to alter their nose shape and size according to socially accepted norm, more according to the culture they belong. However, there are many who choose to get the nose job done purely for aesthetic purposes. The ratio is almost 50:50, people who use nose surgery procedure for cosmetic purposes and to improve their health. Whether it’s an injury or deformity, in any case, the patient sometimes has to go for reconstructive nose surgery in order to achieve the correct shape and thus optimum health. The most critical health condition that is solved by rhinoplasty procedure involves inability to breathe easily. Breathing issues may evolve with blocked airway or deviate septum and cause snoring, extreme nasal congestion, sleep apena and other serious difficulties while breathing. A nose job is advised to correct any deformities present within the nose. It opens the blocked nasal passage in order to achieve normal breathing in the patient. 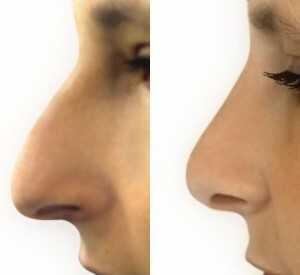 A nose surgery such as rhinoplasty helps prevent the patient for further health conditions. People with obstructed or restricted nasal passage and sinuses are more vulnerable to a wide range of related sinus infections. Due to the nose deformities the mucus is blocked in the passageways that provides environment to germs create infection. After a nose job, the risk of bacterial development and painful infections can be reduced significantly. While its physical health benefits are many you cannot ignore the mental health benefits the procedure offers. For instance, the issue we had discussed earlier on this website, teenage rhinoplasty, which is mainly adopted to address the mental health of a teen. Teenagers usually get bullied about their presence and due to that they develop reclusiveness, low self esteem, low-self confidence and even serious depression. The problem and the solution in the name of nose job are not limited to the teenagers only. 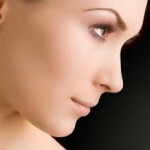 Rhinoplasy is advised to adults as well to rectify self-image and body issues. Rhinoplasty is adopted for both cosmetic and health purposes. It provides lasting effects that majorly impact person’s mental health and self-esteem. 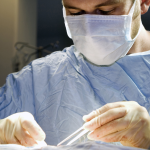 The surgery does not only help you breathe better but also feel better within you own body.